Ok. EXTREMELY FRUSTRATING. My Power plug port on my cutter was damaged. Redid my home office and must have jammed it into something and basically shattered it. Of course USCutter is out of stock in the replacement one. So I found some online and purchased. I spent over 1 hr online today trying to do the online chat. It kept saying I was 1 in queue. Then after about 1 1/2 min it told me to leave a message. All I need is to know which colored wires connect to which terminal. Or if it even matters. I wasn't able to call so I was trying online. Again, over 1 hr and still no help at all. Sent a message...around 2pm eastern time...still haven't heard a word. 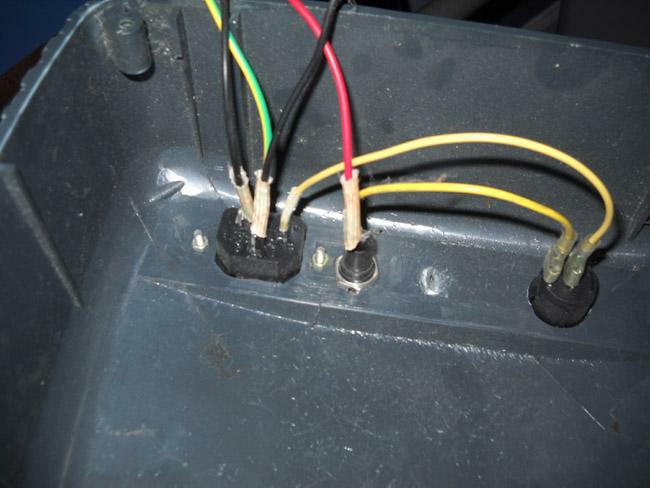 Again all I need to know is which wires hook up to which prongs on the inside (to the quick connect jacks). Anyone have any idea? And of course there is no information attached with the part on the web page and there is no info anywhere that I have been able to find. I have been needing to fix this to finish a project for a friend's fiance for her new business. Again, EXTREMELY frustrating. On my MH unit, the HOT wire is yellow. 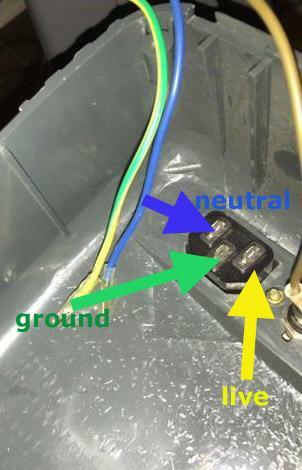 yes it matters which is connected where- one wire is hot the other is neutral with the third being ground - in many cases the ground and neutral are connected together - like in your breaker box in your house they go to the same bus bar usually - now connect that hot to the wrong one and have a hot case would be bad - personally I would have removed the old one and noted the placement . . . 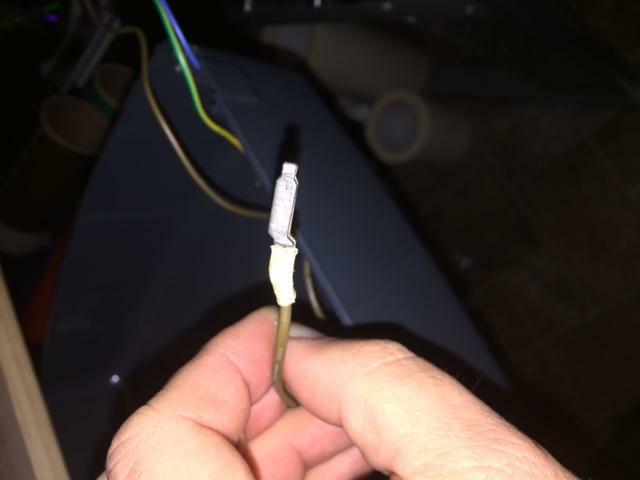 If my memory serves me correct, there was a yellow and blue wire I think (off the top of tmy head), then a brown wire that looks like it went to the fuse. The blue and yellow ones were quick connect, the brown on did not have a quick connect attached to it. 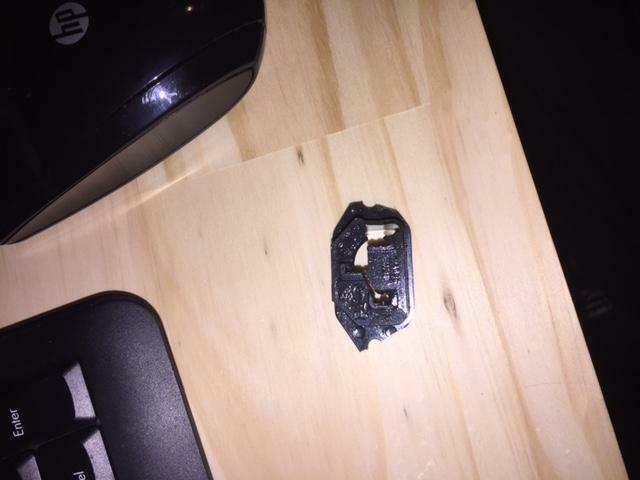 Some kind of covering on it, but looks soldered to the prong. Red is coming out of the fuse -- and yellow is coming into the fuse, so that's the hot wire on my MH unit. 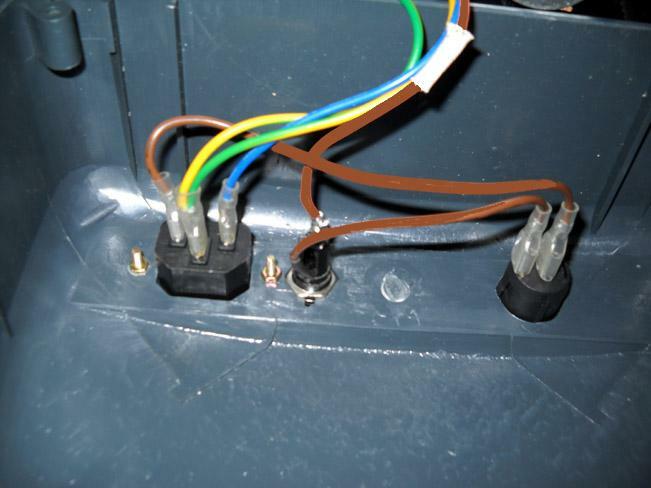 I've now seen your photos, and the brown wire is the 'yellow' wire (see how it comes into the fuse). Just ran ran the 3rd floor to take some pics. Here is why I couldn't notate where the cables were hooked up. Or trust me I would have. The 2 wires with the quick connect. And obviously the brown one will not connect to the new piece. 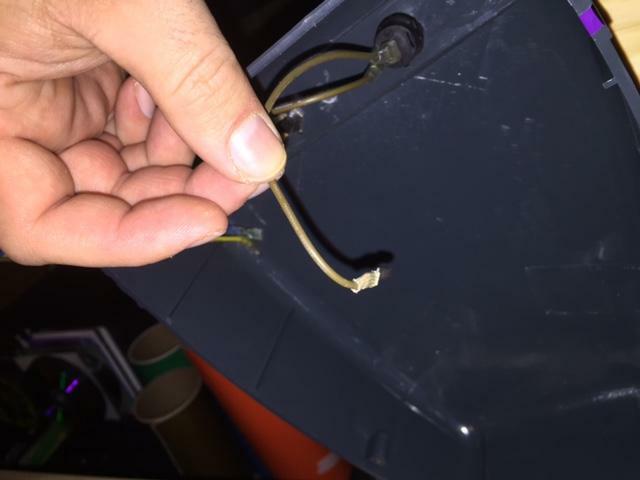 I should be able to cut the wire, strip it and put a quick connect on correct? Just don't want to fry this thing. Not that it was uber expensive, but really don't want to have to buy another one right now. Thanks a million you guys. I will be working on this first thing in the morning. Amazing I got the answer quicker than contacting support. Dakota, the inside wiring on my MH is exactly as I illustrated. 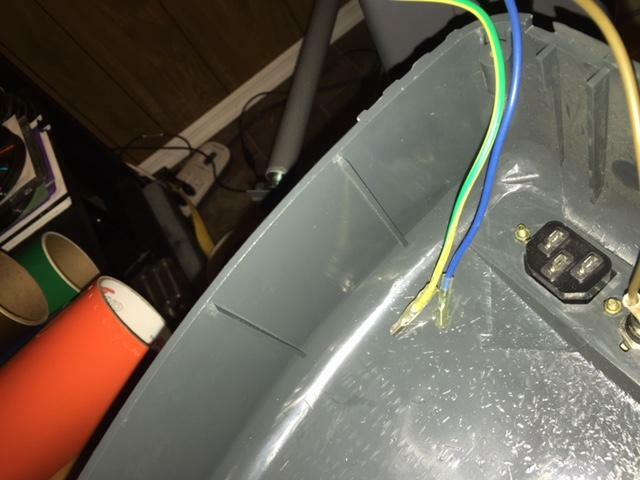 The yellow wires go from the power plug into on/off switch and then run to the fuse, and the fuse has a RED wire leading into the core of the machine. 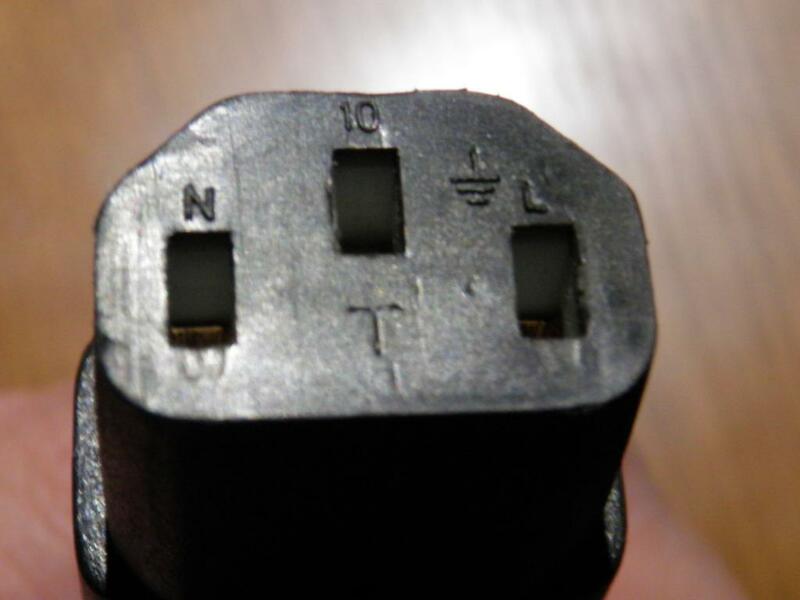 However, I will say this, for what it's worth ---- on the power socket itself, on the back, the markings for L and N show the yellow wire coming from the N side, but why would the neutral be wired into the FUSE and the on/off switch? And RED should mean live. 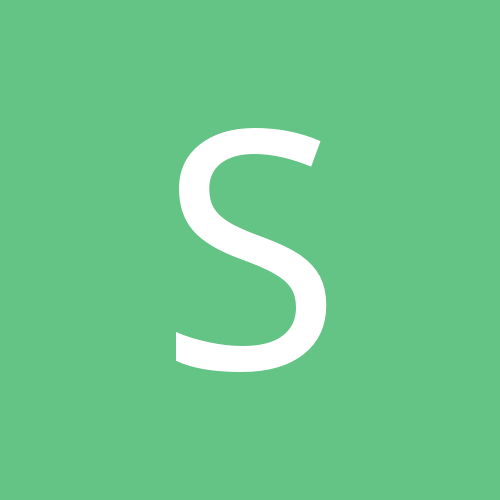 Slice - where does that extra black wire go to on your plotter (the one by the green yellow ground wire on the plug) - and does that red go to the l or n on the power supply board? Dakota, back when I was younger, the electric sockets on the wall outlets did not have one hole being larger than another, and you could just insert the plug, there was no need to worry about the direction it went in (both prongs were of equal width and could be put into the sockets either way, right to left or left to right) -- and there was no ground (third prong). Based on my simple understanding, this was because it's alternating current and would make no difference which is which. When I started replying to this thread, that's the layman's assumption I was going with. 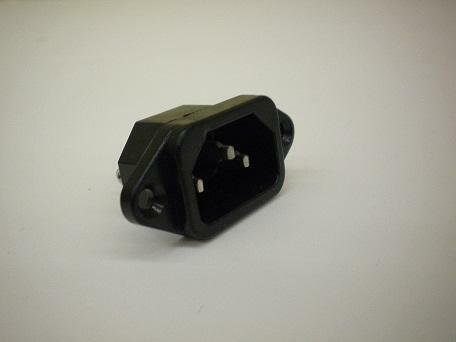 the Chinese manufacturer has the frikkin' wires hooked up backwards for modern US polarity standards!!! I have looked at where that red line goes (and where the black lines come from). The RED indeed goes to the L (live) connector on the power supply, and the 2 blacks are hooked up to the N and Ground. So, the machine is literally HOT, just as you said. OK, now you want to hear something REALLY strange? I took apart my MH mini 14" and discovered a DIFFERENT wiring scheme. Yep, the brown leads to the L and the blue leads to the N.
Whatta ya think about THAT?!! !